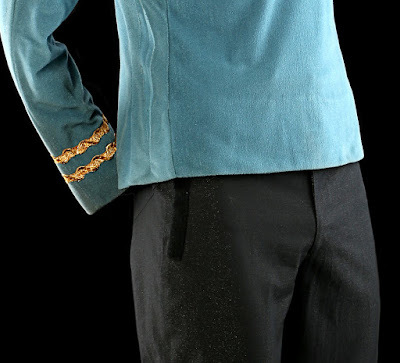 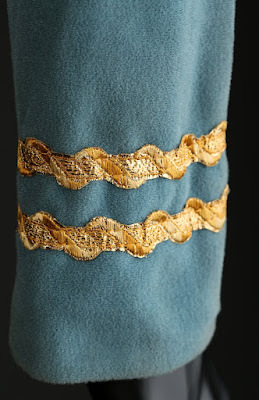 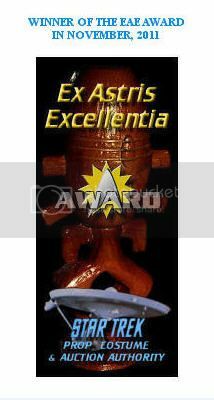 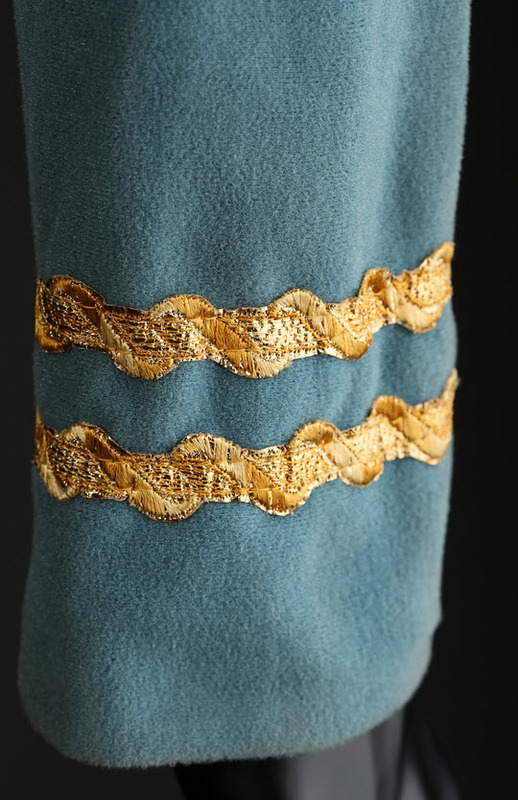 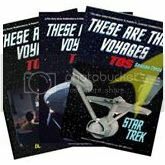 Below are some detailed photos of a 2nd season blue velour Starfleet Science Officer tunic with full patch and braid, along with its accompanying black fabric trousers, that was worn by Leonard Nimoy in his role as Mr. Spock on Star Trek: The Original Series. 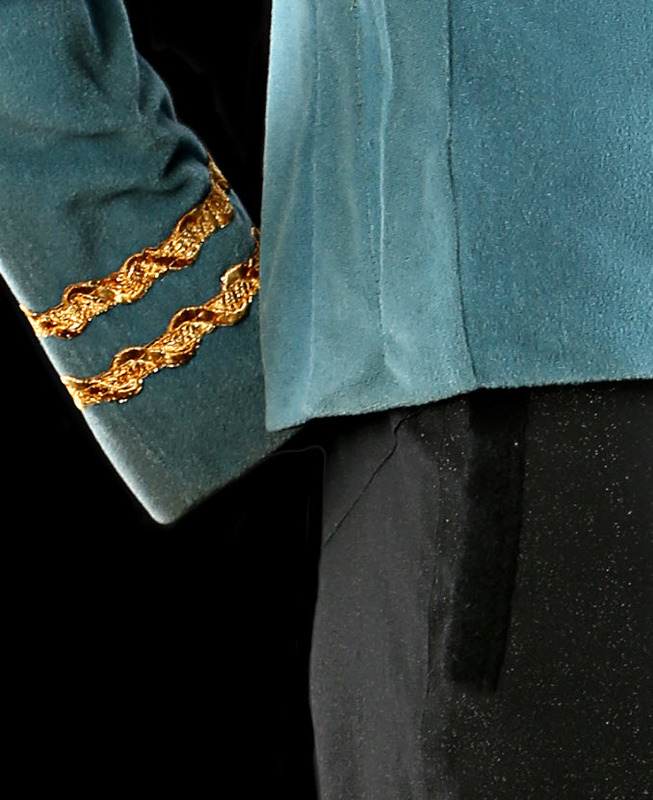 The hidden zipper that was once fitted along the left side of the tunic has been removed post production and the seam for the zipper stitched closed. 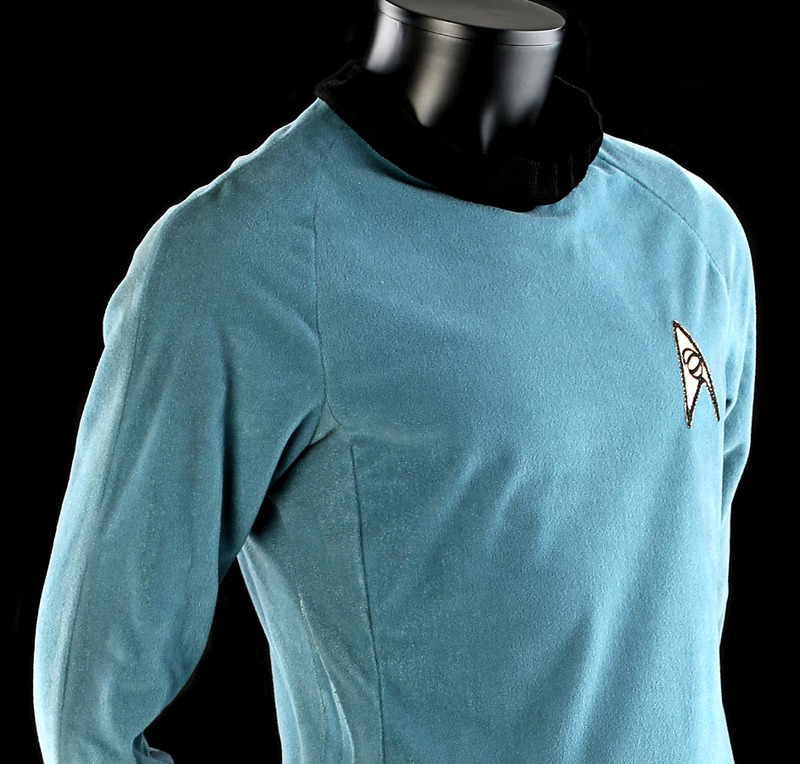 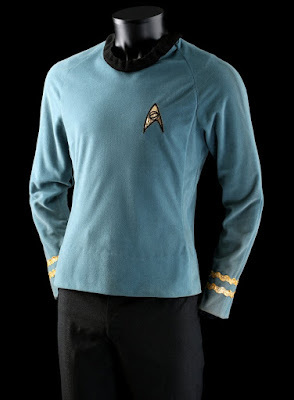 This uniform was recently offered as Lot 335 in the Prop Store of London's "Treasures from the World of Film & Television" entertainment memorabilia auction that took place last month at the ODEON BFI IMAX theatres in Waterloo, London, England. 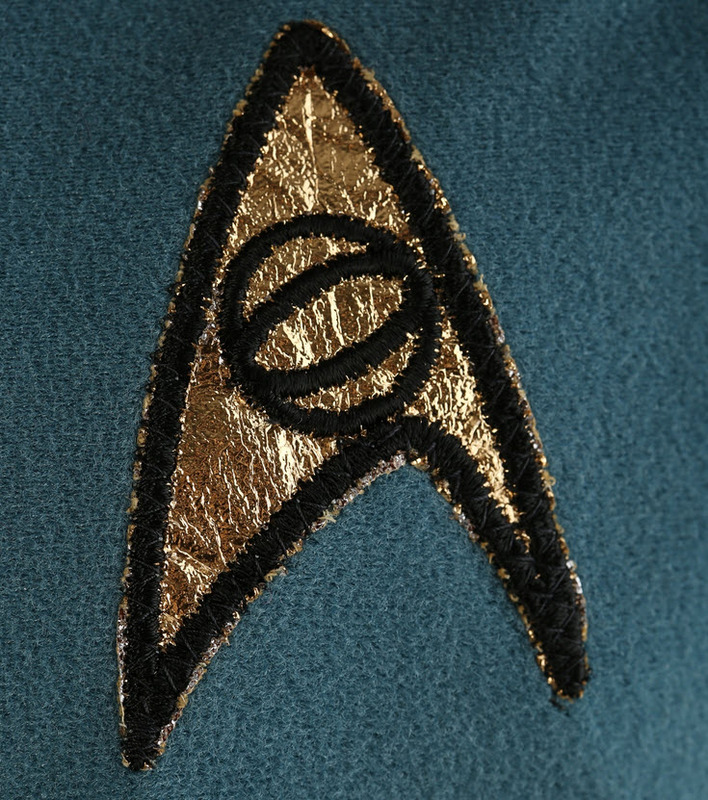 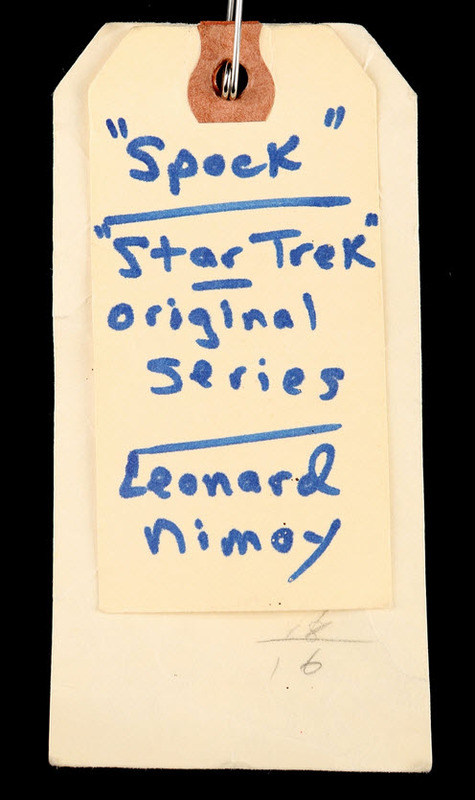 According to the auction catalog description, the tunic is believed to screen match to the episodes "The Ultimate Computer" and "The Omega Glory" based on the precise alignment and stitching of the Science Division patch.